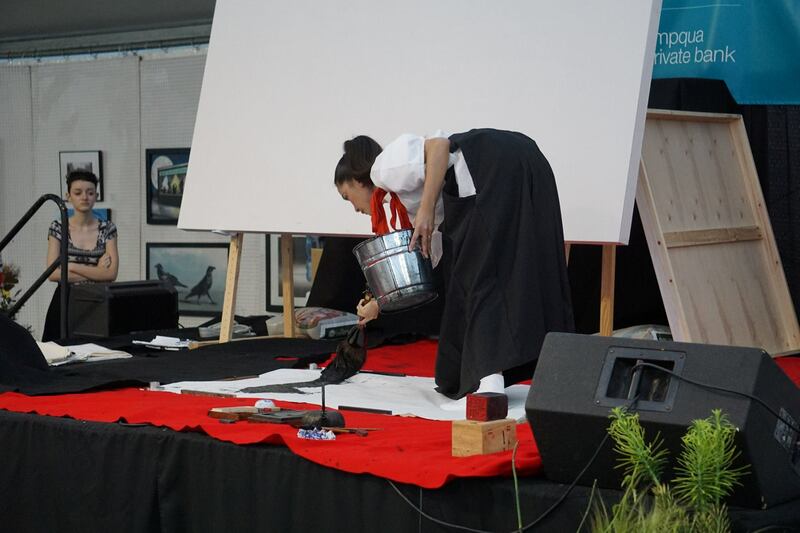 Sora was born and raised in the small town of Usuki in Oita Prefecture, Japan. 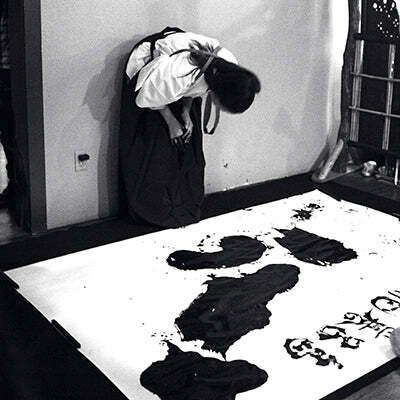 She began her Japanese Calligraphy training at the age of Six. 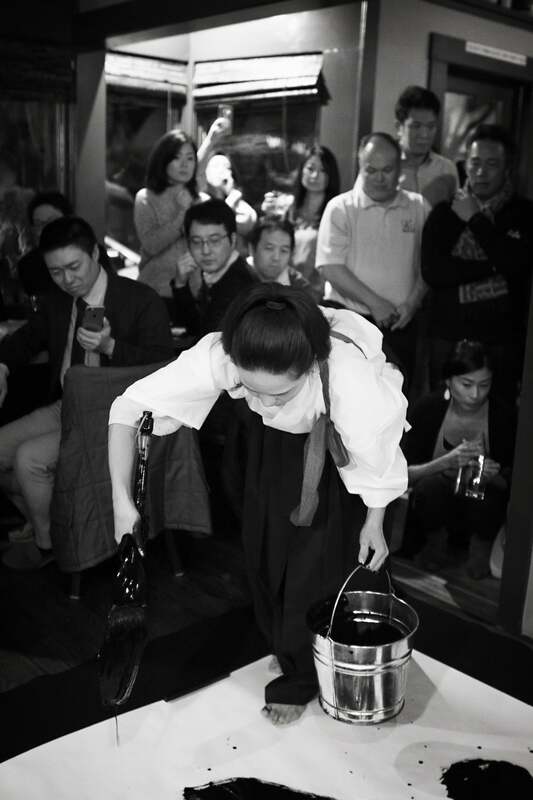 She continued learning until she was thirteen and received many gold medal awards in city competitions. 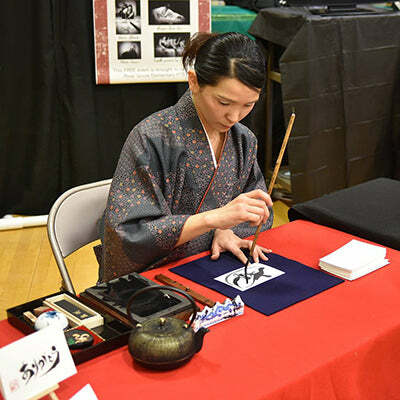 She quit Shodo for a long time and focused on studying, working and raising 3 children. 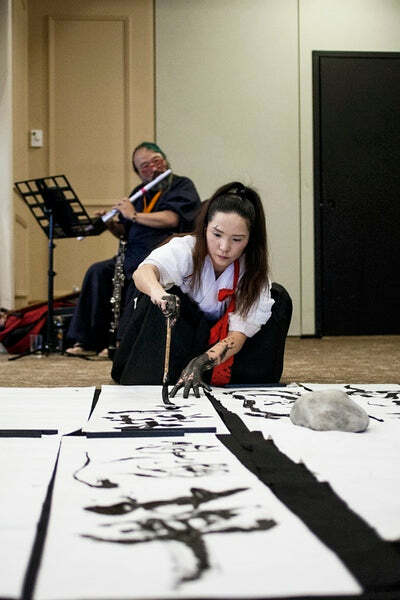 After flying all over the world as a Flight Attendant with ANA , working at a TV station as a media director and reporter , and teaching English to elementary school children in Oita, Japan, in 2014 she met Sekko Daigo, a master of Shodo living in Oregon and was inspired by her beautiful artwork to practice Shodo again. 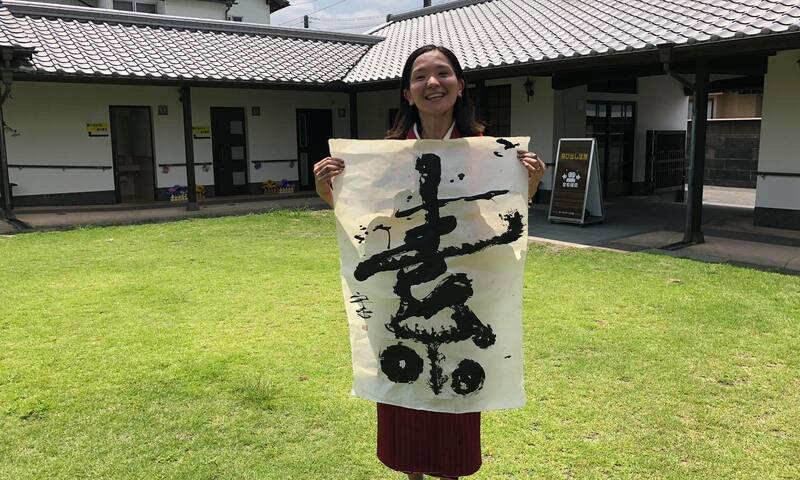 Since then she is learning under master Sekko and in May of 2017 received the Artist name " Sora " (宇宙）which means universe/sky. 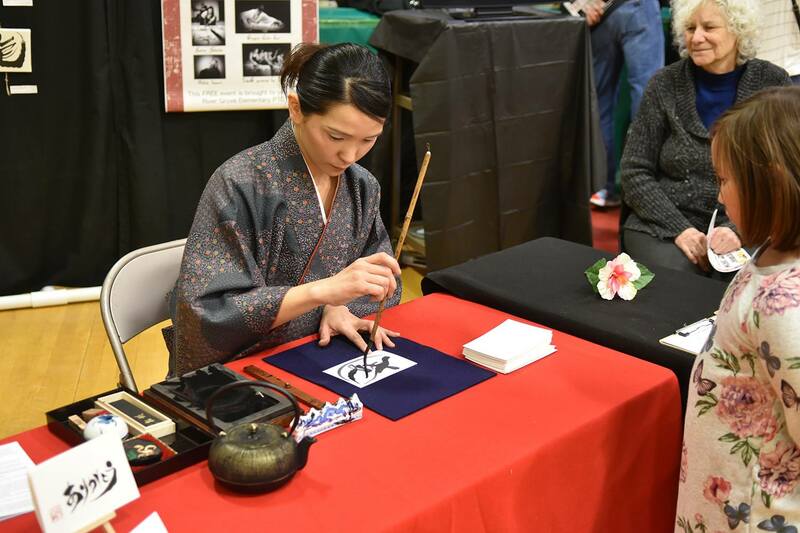 After she received the beautiful and meaningful artist name from her Shodo master, her dream is to show the world the beauty of traditional Japanese art culture. 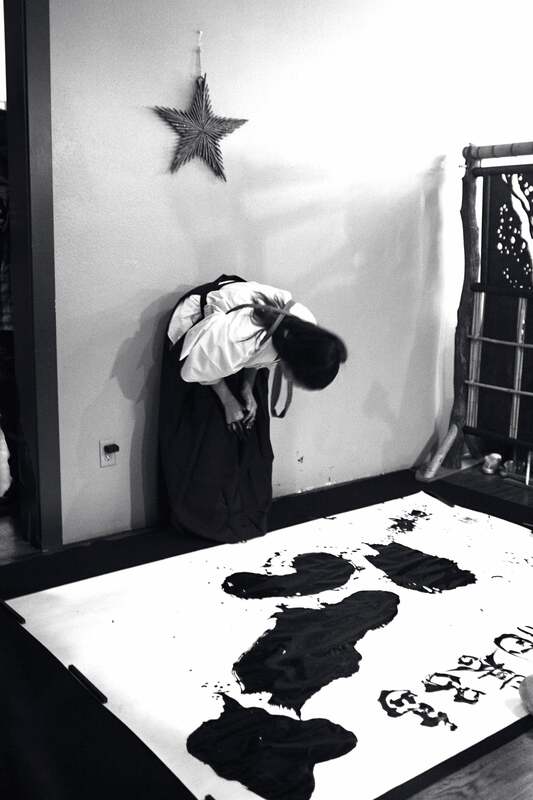 Sora is expressing her feelings in her Shodo and creating Shodo art on original canvas. 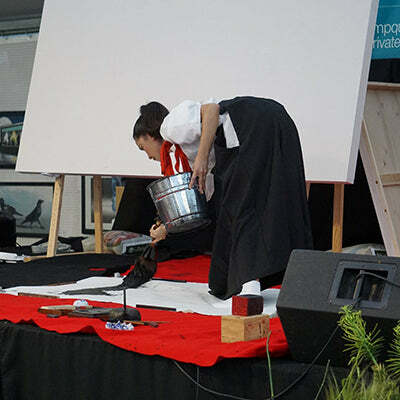 Sometimes the stroke of the brush can show the lack of confidence in yourself. 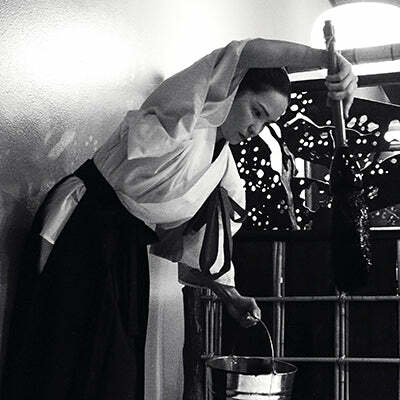 Concentration is very important for Shodo. It is a spiritual practice, that requires a lot of mental discipline. 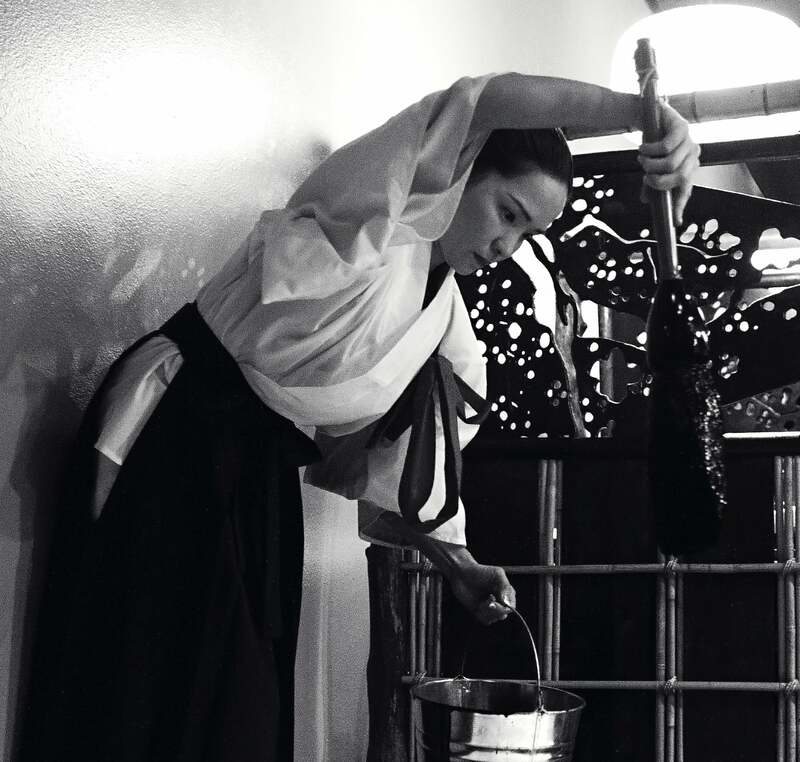 When She creates her Shodo Art, she puts her own spiritual power into every stroke. 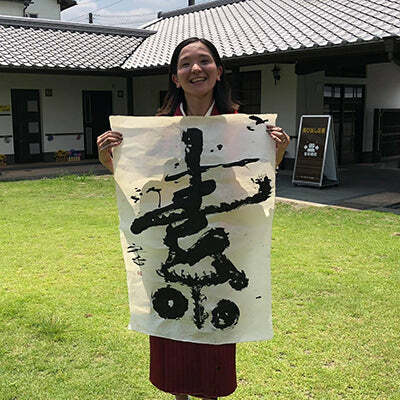 She wants people in the world to know this wonderful cultural art. 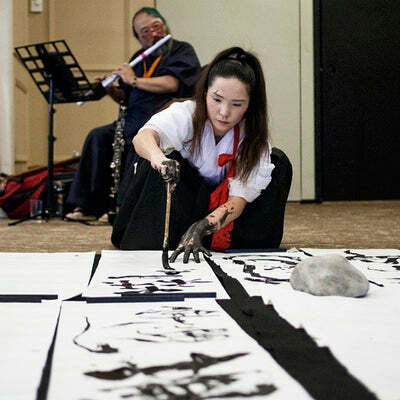 If you want to learn more about Sora, her work, or her performances, visit here site www.sorashodo.com.